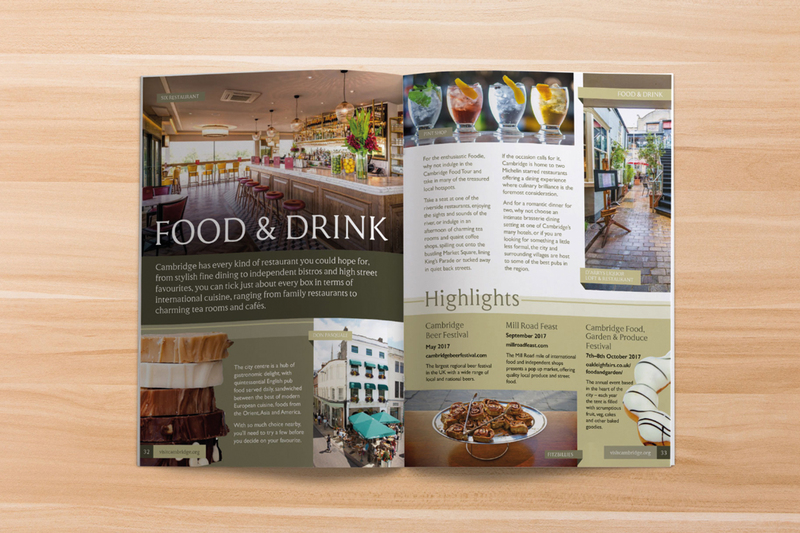 A new identity, tagline and complete redesign for printed literature, website, city guides and maps for the Destination Management Organisation. 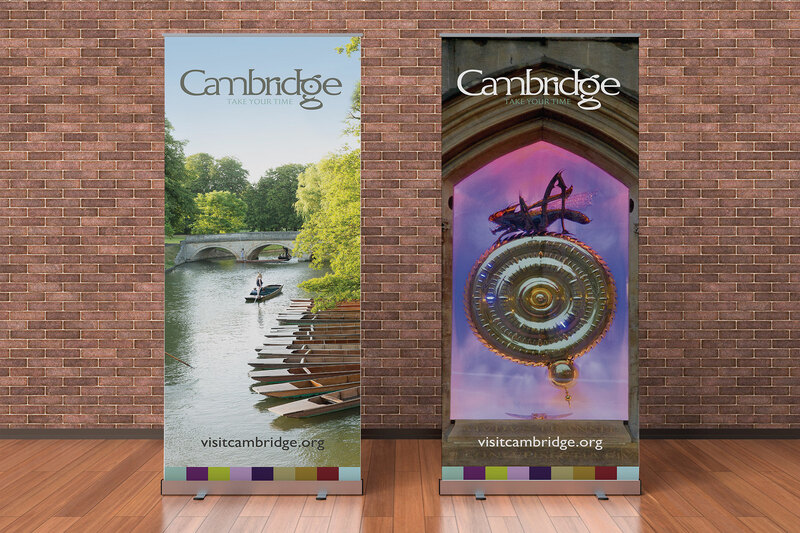 We were delighted and proud to have been the agency appointed to design and develop the brand for the Destination Management Organisation for the city of Cambridge. 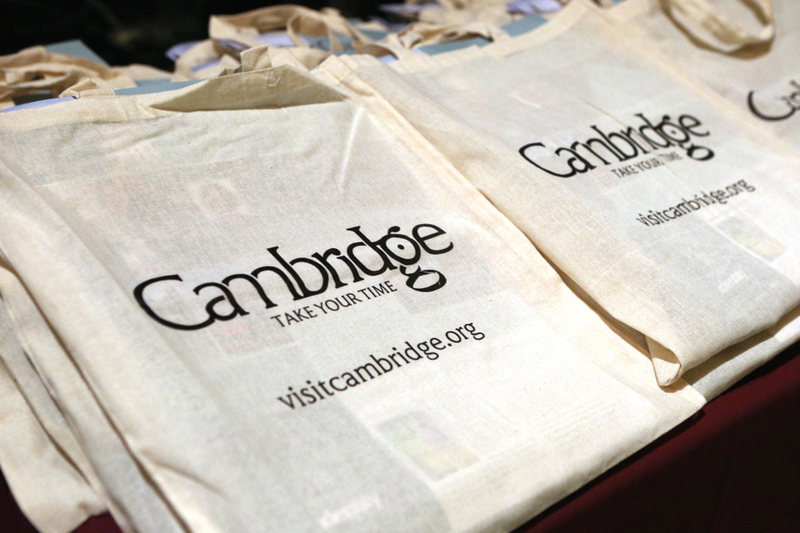 Our mission to create the best brand vision started with a series of focus groups and workshops involving the Visit Cambridge team and its Board Members. 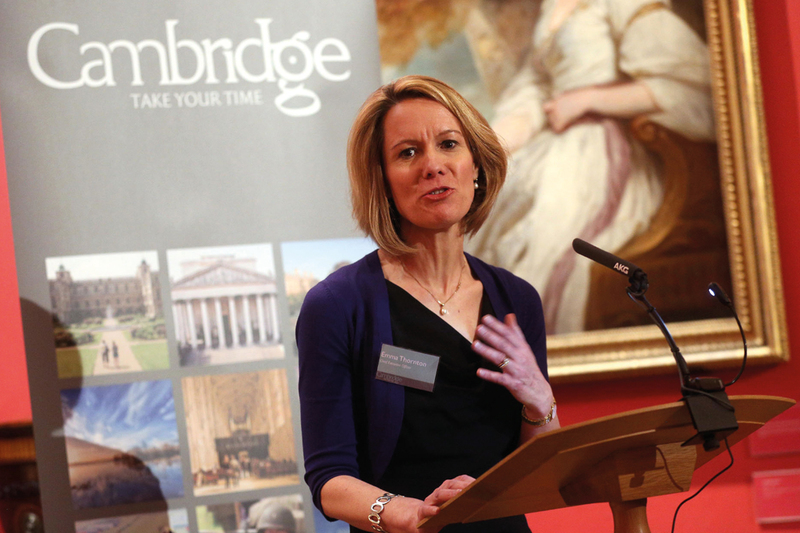 These think-tanks enabled the flow of ideas, aspirations and energy throughout the process. 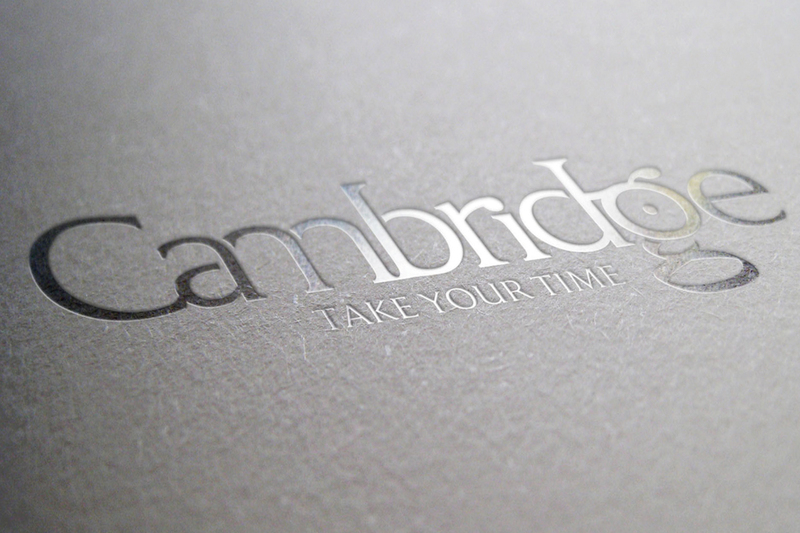 Following its global research of high-profile cities and international brands, the team worked closely to achieve a bespoke identity for Cambridge – one that would be thought provoking with hidden iconography and typographic design inspired by renowned city influences. We want people to look at the logo and enjoy the elements of surprise. 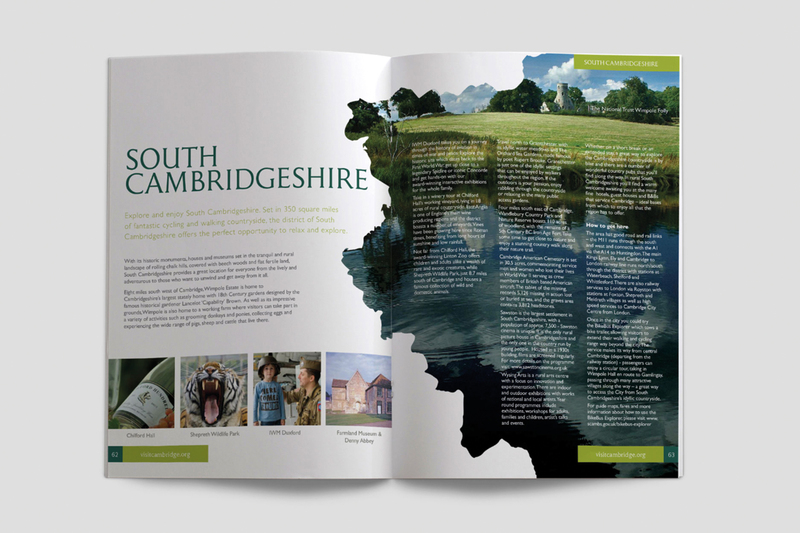 In creating universal appeal, extensive and intricate work was carried out on primary and secondary colour palettes, supplementary iconography and typeface choices. 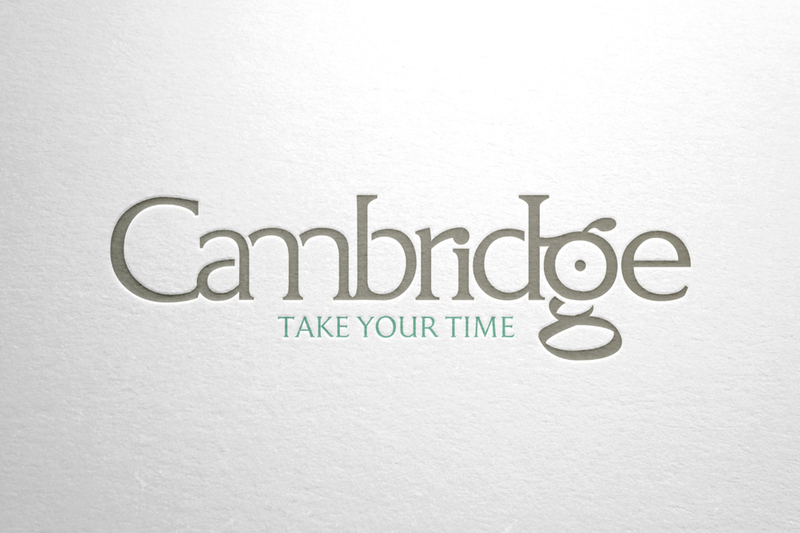 Part of the brief was to conceive a succinct tagline to accompany the logo. 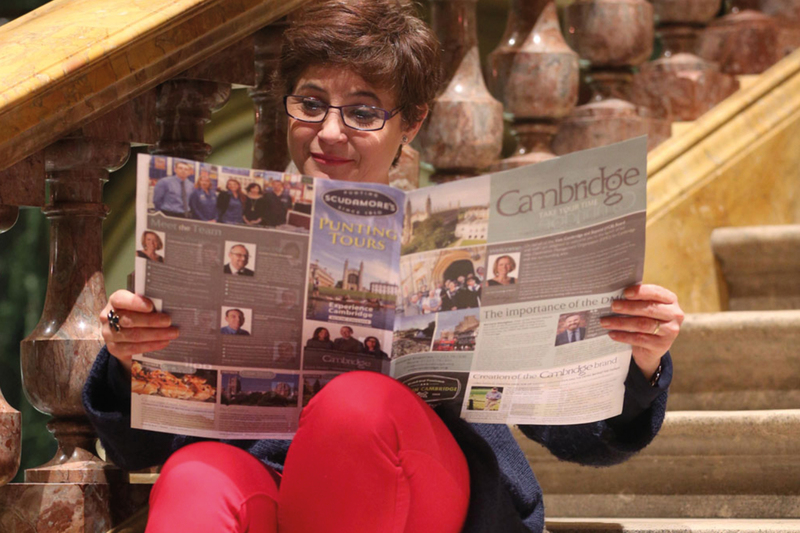 The intention is to challenge the perception of Cambridge as a day trip destination and to encourage people to take time to enjoy and explore the city and the surrounding area. 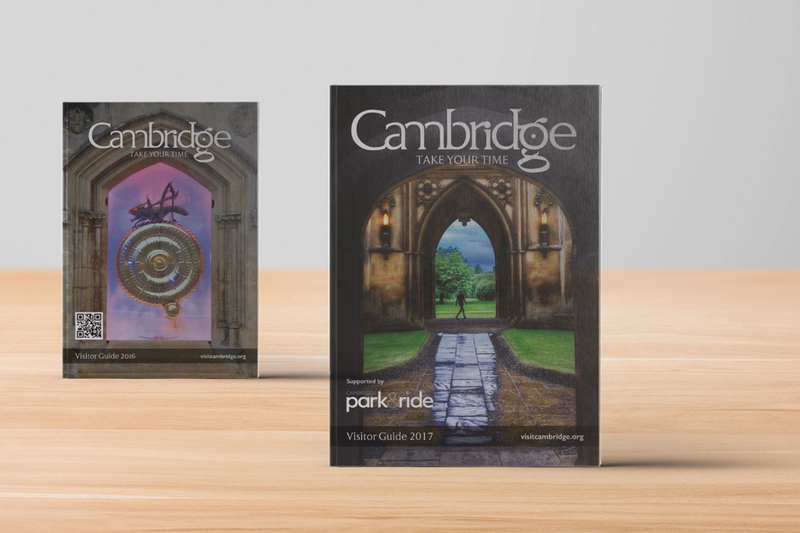 Having instilled intrigue and timeless design into the concept, the Identity team were overwhelmed by the positive feedback from the Visit Cambridge Board and its Members at the Guildhall presentation. 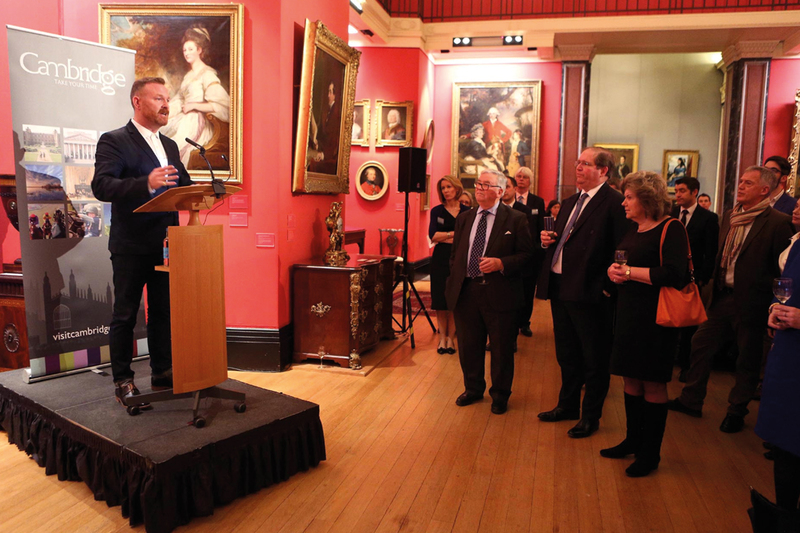 Knowing that the DMO’s new identity – for the city we were born, raised and happily live in – will be viewed by millions of people from around the world is an absolute honour.